Moreira Dunia inside her mother's house. The floor and roof were renovated with assistance from Habitat for Humanity Honduras. 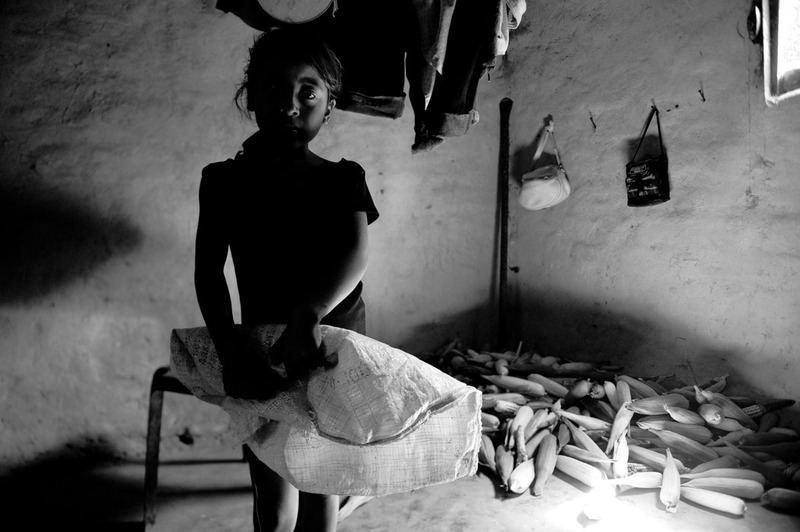 Most of the Chortí indigenous families of Western Honduras live in extreme poverty. Their subsistence economy keeps them from accessing credit sources, and thus from improving their houses. Their lack of resources forces them to resort to low-quality building materials, meaning that families live in substandard, overcrowded, unhealthy conditions. They are exposed to dust and extreme humidity, and the mud walls of their houses provide ideal living conditions for chinche picuda bugs, which cause Chagas Disease.